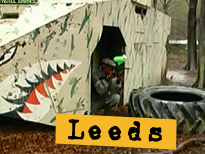 Leeds is jam-packed with features and has some of the best game scenarios anywhere in the UK. This fantastic venue is situated 10-Minutes outside Leeds/York City Centre. Large covered seating area for 120 players. Refreshment area, toilets and large parking area. Will you hold your nerve against the oppostion? Can you stop them from over running your tanks? 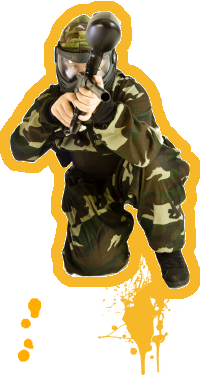 Do you have what it takes to storm the trench, charge the hill and defeat the enemy lines? It's fast and furious fun on our unique Speedball game map. This is a race against time! What fuel can your team hold on to when surrounded on all sides? Book direct and online now without the need to purchase tickets. Click on the button below.